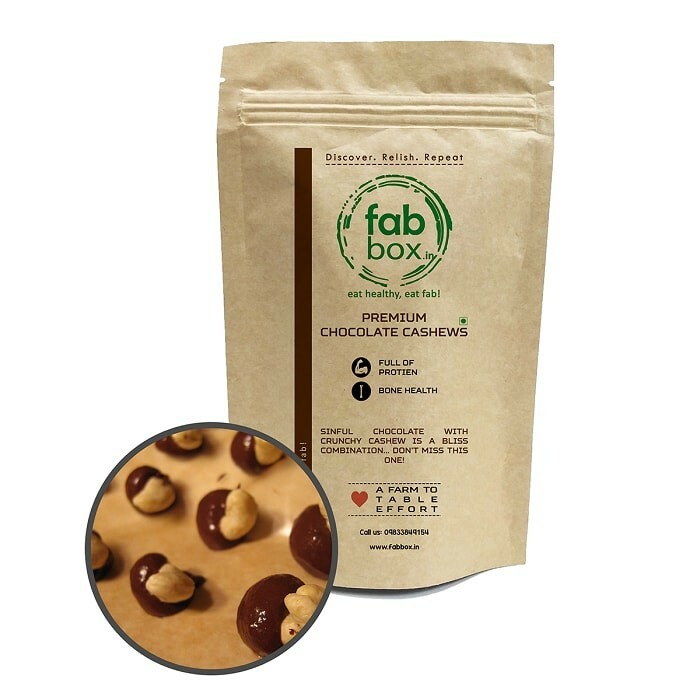 Buy Premium Chocolate Cashews of FabBox from Mumbai online | Authentic Indian Sweet , Savories and Delicacies from the place they originate by Moipot. 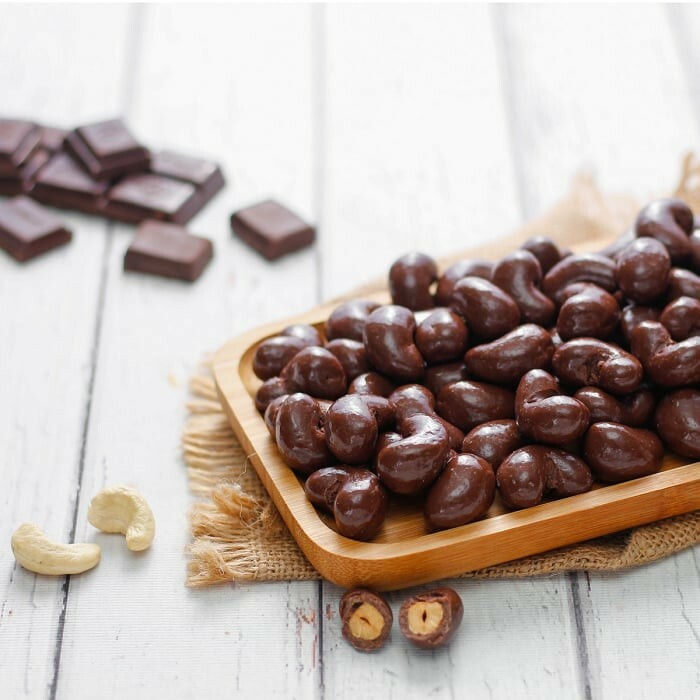 Both cashews and chocolates are liked by almost everyone living in any corner of the world. The happiness is doubled up when these are mixed together. The premium chocolate cashews from Fab Box are extravagantly delicious and are made from roasted cashews, milk chocolates, sugar, veg fats and emulsifiers.